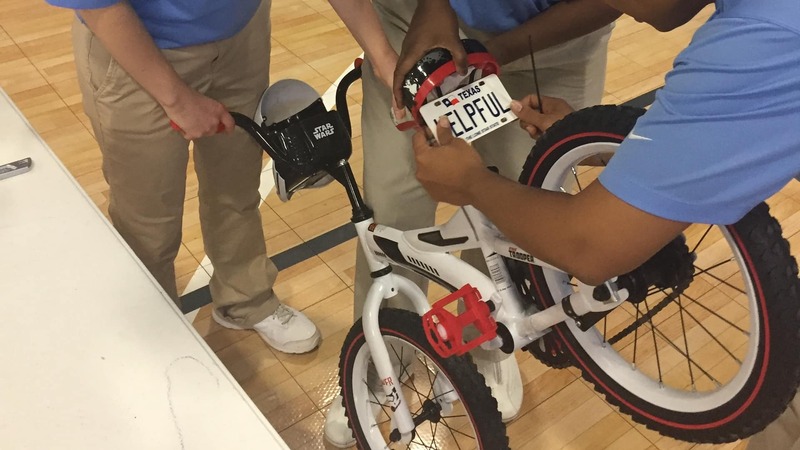 Have you seen the guys and gals in blue in your neighborhood, lending a hand in the most unexpected ways? 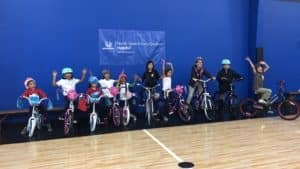 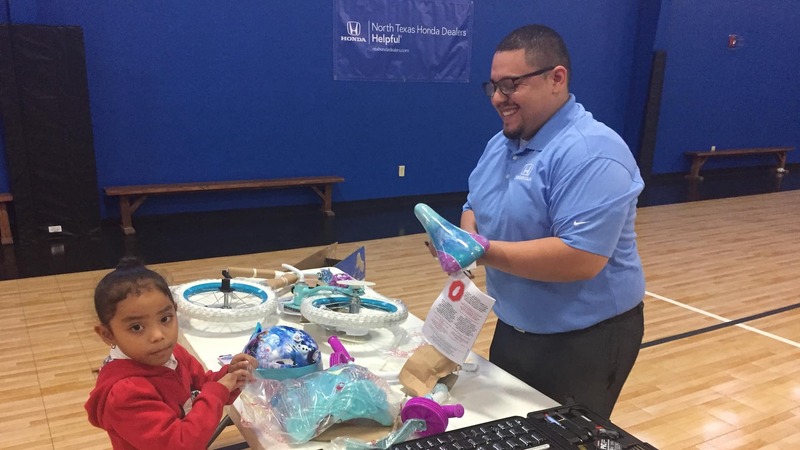 In October, we helped adoptable pets find new homes at the SPCA of Texas, and matched adoption fees to help even more animals in need; brought arts, crafts and costumes to celebrate the Honda-ween holiday with kids and patients of the Medical City Children’s Hospital; surprised drivers with free gas at the pumps; and so much more. 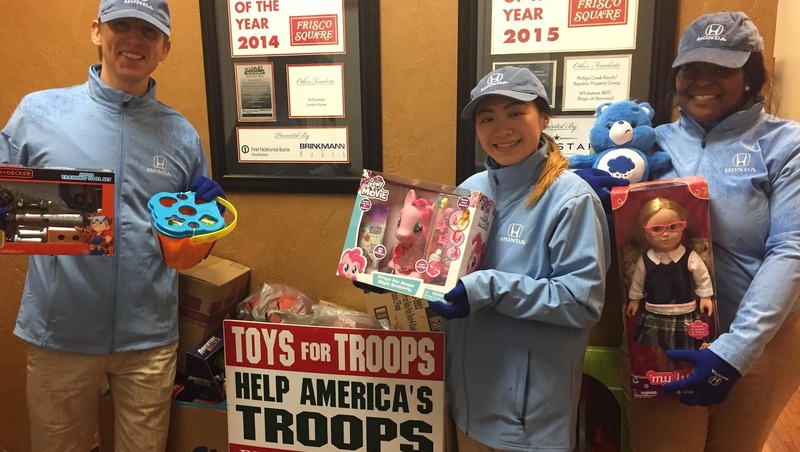 Frisco Square encouraged skaters and shoppers to help with their toy drive which benefitted Operation Once in a Lifetime, an organization focused on helping U.S. Service Members, Honorable Discharged Veterans and their families. 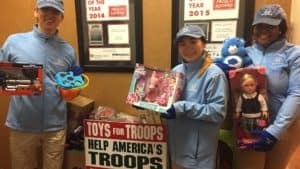 We helped too, and donated over 250 toys to Operation Once in a Lifetime so the families could enjoy their holiday season. 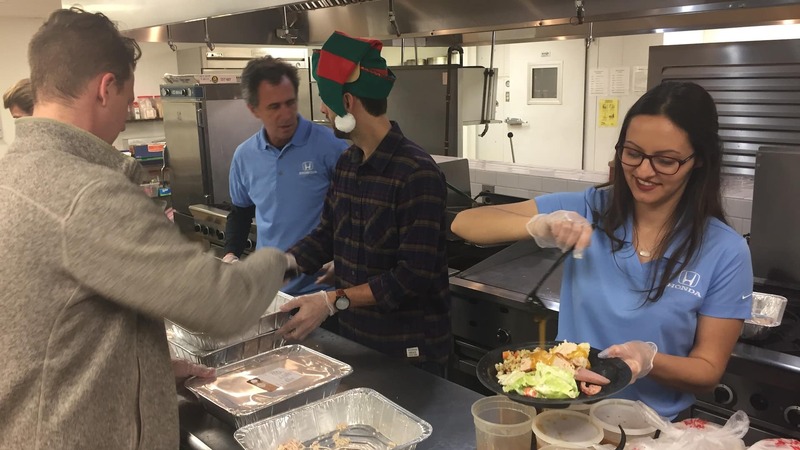 Helpful doesn’t just come during the holidays – we’re out every week helping residents in many ways. 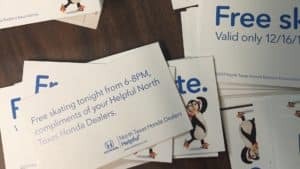 We’ll help you load your groceries into your car; set up your parties at the park; hand out water during your morning runs; and provide complimentary poop bags so you can clean up after your pup at the dog park. 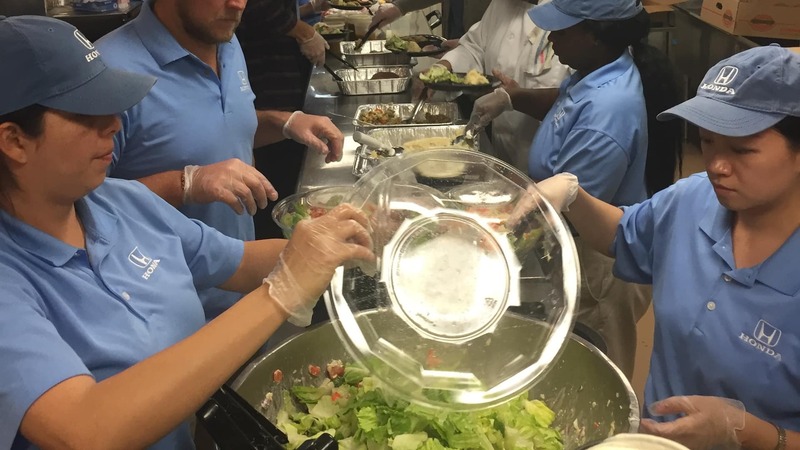 And we’re always happy to volunteer with your organization, too. Need help? 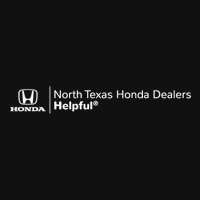 You can visit us at Facebook.com/NTXHondaDealers, follow us at Twitter.com/NTXHondaDealers, or tag us at Instagram.com/NTXHondaDealers.